If you or a loved one has been injured by a doctor or other medical care provider, and you believe that the injury was the result of negligence, then it is important that you report your injuries. But how do you report medical malpractice? And to whom do you submit a report? Well, the answer varies from state to state – but you can always submit a report of medical malpractice to the state’s medical board. And you should always report medical malpractice, both to bolster your medical malpractice case and to ensure that a record is made of the incident. When a doctor, hospital or other medical provider acts negligently and it leads to the injury of a patient, it is vitally important that the patient speak up about it. The medical provider will go on to treat numerous other patients, each of which could be hurt by similar negligence. Without making a report, none of the parties capable of holding the medical care provider – like the state regulatory board – will be aware that something went wrong. Who Should You Report To? Each state has a medical board that oversees the practice of medicine in the state, and each of these boards has a complaint board that accepts and files all complaints related to medical care in the state. The way that you report malpractice to your state’s medical board can vary, but the basic process is similar. To make a complaint to your state’s medical complaint board, you will need to fill out a form that lists what happened, when it happened and who was involved. You will want to be as detailed as possible in your report to ensure that your argument is as strong as possible. However, do not feel pressured to sound like a doctor. All the parties that review complaints are well aware that they are usually filed by people who are not medically trained. Just do your best to include the details and documentation that support your position. Filing a complaint with the state medical board is the best way to report medical malpractice on an official level. But you can also report what happened to the public on review sites. While your reviews will probably not be read by anyone in an official capacity, your report may help the public avoid similar encounters. And you could discover that there are more patients who experienced medical malpractice from your care provider than just you. What Does the Medical Complaint Board Do With Your Report? Although it can be satisfying to speak up about your experience, do not expect any response from the medical complaint board. They are most likely going to file your report and do nothing else, besides contacting the doctor and hospital to notify them of the complaint. If the doctor rarely gets complaints, the board will probably consider it an anomaly. They are likely to act only if they receive multiple complaints. When the medical complaint board notifies the doctor and hospital about the report, it is possible that you will receive an offer to settle for financial compensation. But to accept the compensation you must sign an agreement stating that you will not take legal action in the future. The settlement may be fair, or it may not. The only way to be sure is to speak with an experienced medical malpractice attorney in your area. If you are not a doctor, it can be difficult to be certain if you have a strong medical malpractice case. Fortunately, you do not have to make such a decision on your own. An expert medical witness can review your circumstances and tell you if negligence did occur – which can provide real peace of mind if you are considering legal action. 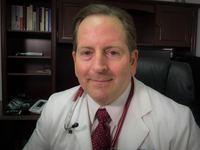 Dr. Edward Mallory has worked with numerous medical malpractice victims to determine what caused their injuries. If you think you were a victim of medical malpractice, please contact Dr. Mallory to discuss what happened.